I have been working on a list of online backup companies that are available and thought I would make the list available for others to use. If your favourite online backup company is not listed please leave a comment and let me know. As well if there has been a company that has ceased operation let me know so I can update the list. Supports: Windows. Mac and Linux through FTP. Supports: Windows, Mac and Linux clients coming 2009. Supports: Windows, Mac, Linux through rsync. Updated: September 16, 2011. Removed some dead links. This is good listing but also consider http://www.backupvault.ie/ as one of the best online backup providers offers best services for online backup. This is a very elaborate list. 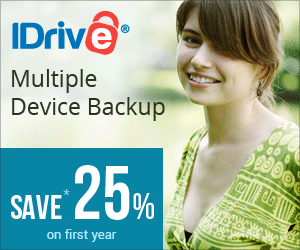 Personally I think Mindtime Backup http://www.mindtimebackup.nl also should be included on the online backup list. It is a Dutch company, but they also provide backup for international customers. Thanks for letting me know. I will try and get them on the list shortly. I would be very grateful if you could do that! But maybe it’s better to link to http://www.mindtimebackup.com because that’s the English version of the website. Thank you so much for including us on your list!